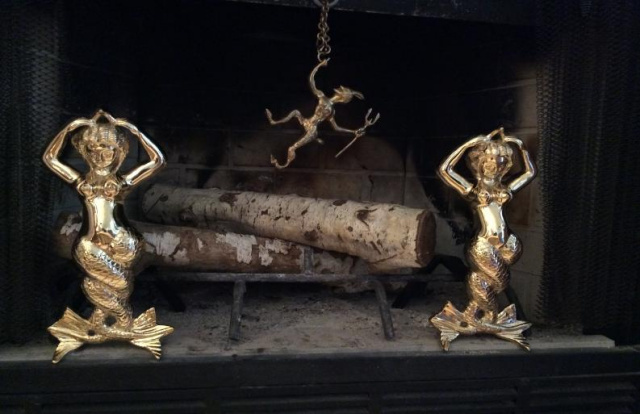 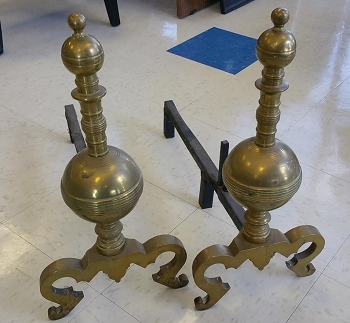 We carry fireplace both new and antique andirons made for use with wood (long shank) and for use with gas logs or very small fireplaces (short shank). 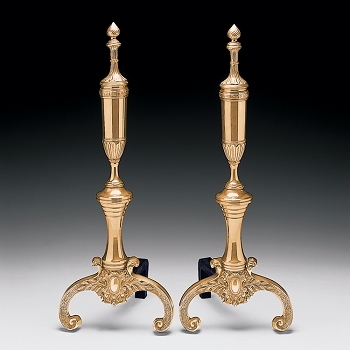 The short shank styles allow the andirons to sit in front of a gas log set for a most realistic look. 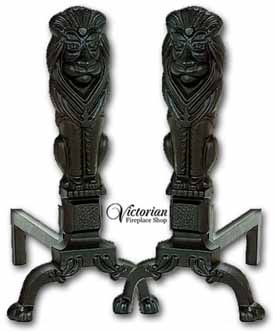 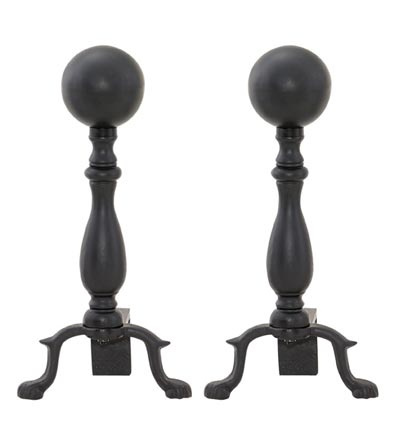 Short shank andirons are also convenient for use in shallow, coal-burning size fireplaces. 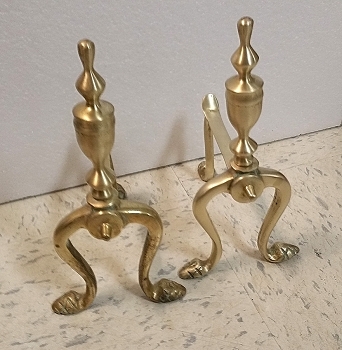 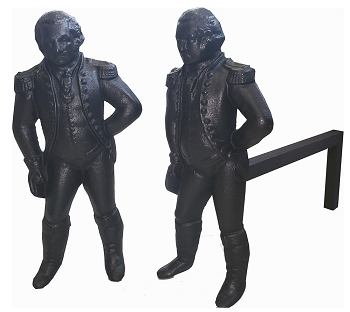 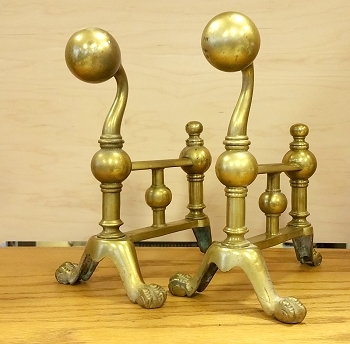 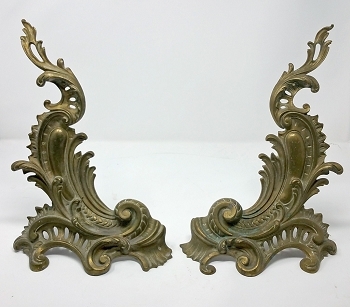 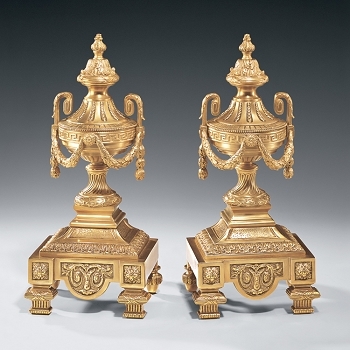 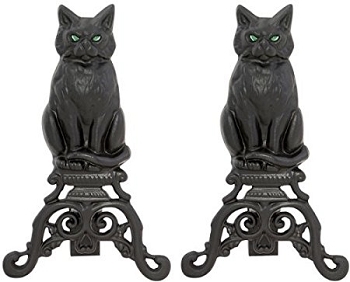 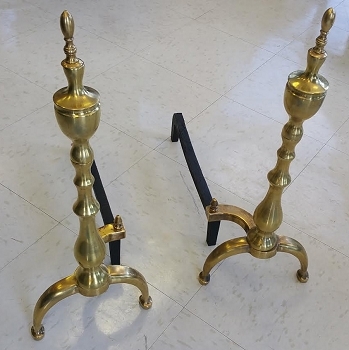 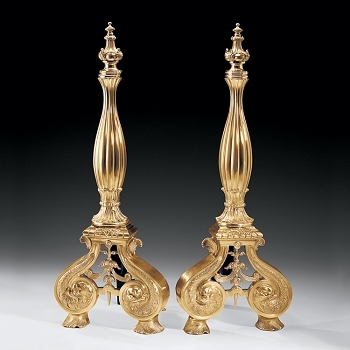 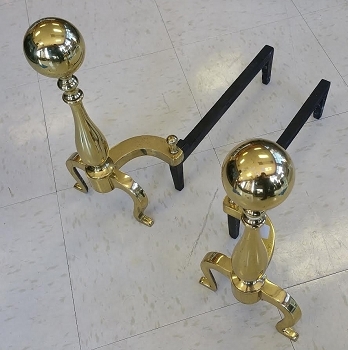 Some of these andirons are available in your choice of finishes. 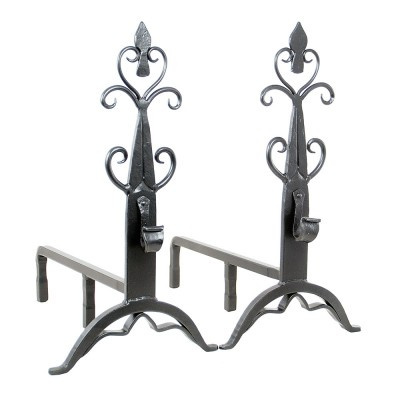 Whether you're searching for the opulence of solid cast brass, copper or nickel or the understated elegance of simple black cast iron andirons, we have just the right style that you've been looking for.